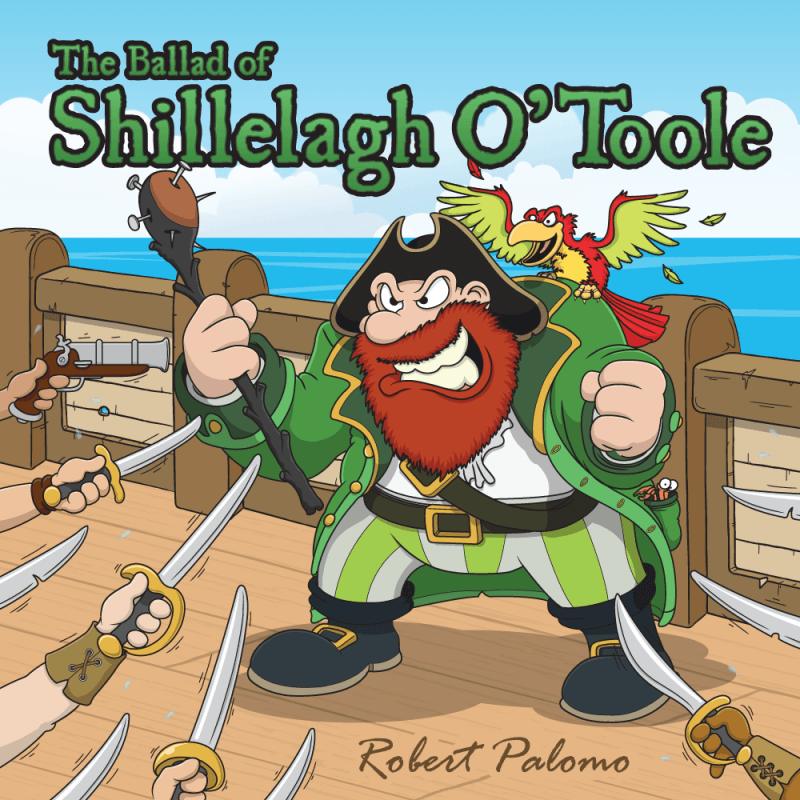 Never was any pirate so cruel, than the old Irish pirate, Shillelagh O’Toole! This was a little commission piece, created to illustrate the front cover of a pirate folk song, written by the very talented Robert Palomo. And being he was an Irish pirate, I’ve used some shades of emerald green on all of his clothing, but this also aids in making him stand out against a primarily brown backdrop – perfect for small phone and iPod screens! In his hand is his weapon of choice, the dreaded blackthorn shillelagh, and top his shoulder rides a rather squawky (and probably unstable) parrot! If you look carefully, there’s also a little crab hiding out in his pocket. To complete the scene, we’ve a circle of rather trembly arms that belong to an extremely scared ship crew, each brandishing a weapon!